If there is one thing which is impossible to keep organized in our home, it’s toys. Seriously, my kids have like a billion toys. I’m totally cool with that, because I’ve raised my kids to value all their possessions. They don’t just ignore their toys a year after I buy them; they keep playing with them. But they also make a mess which you wouldn’t believe! 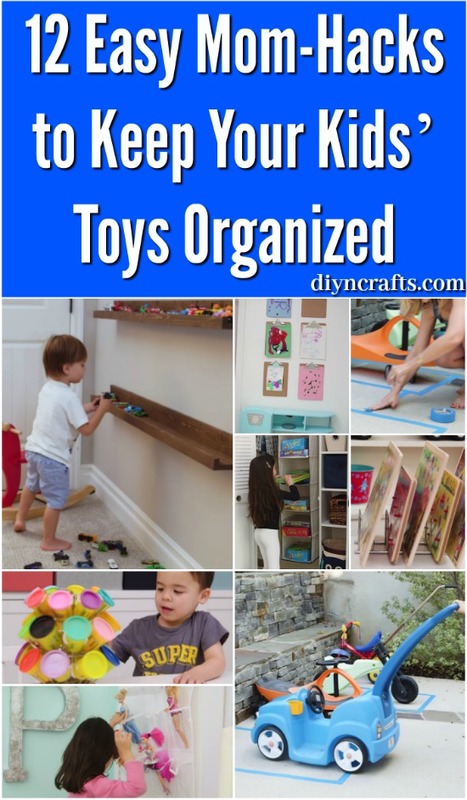 So I am always on the hunt for ways to organize my kids’ toys which they’ll be able to get onboard with. Some of the storage and organization solutions I have found have helped, but they still aren’t really enough. I then realized that maybe the problem is that it isn’t enough to just come up with storage solutions. What you need are parenting hacks like these which also happen to double as storage ideas. That was when I came up with the idea of checking Mom Hacks, one of my favorite YouTube channels! Sure enough, they have an awesome video full of hacks for easy storage solutions for children’s toys. What really sets these ideas apart from most is that every storage idea they came up with was designed with kids in mind. So these solutions don’t just work for you, they also work for your kids. And that means your kids are more likely to put their toys away without you having to pester them or do it for them. Take the genius idea at 1:30 for example. If you want your kids to line up their plastic bikes and scooters and such, and to do it neatly, you need to outline spaces to show them how and where to do it. All the ideas in the video are just that brilliant. So check it out, and enjoy a cleaner, more organized playroom! Video by WhatsUpMoms Youtube team!